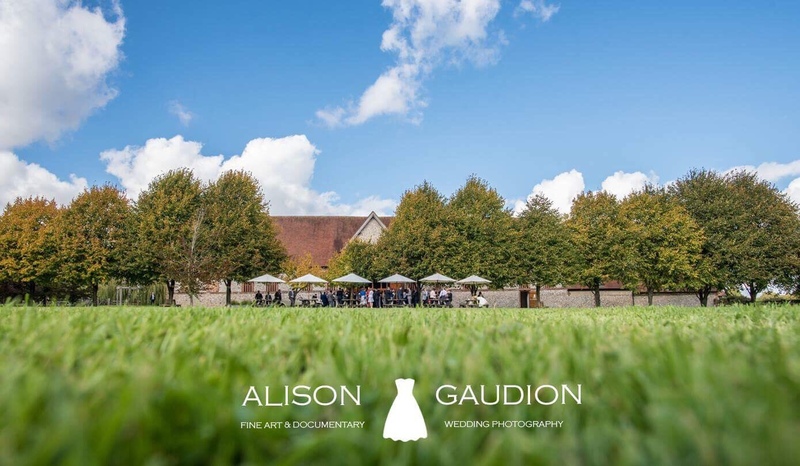 Photographing weddings through the seasons at the Tithe Barn in Petersfield can be mostly put into two categories. Autumn and Winter are the first, being close in temperature. The only difference is the beginning of the Autumn shows the red trees which are mentioned below. The Spring and Summer are also very similar, with the daffodils and tulips retreating during March. I have lots and lots of posts in my blog about The Tithe Barn. I have been photographing weddings there for about ten years. Inside there are five arches that are church-like and gothic. They appear to give the barn a church like feeling. Some couples like this as it makes them feel like they are getting married somewhere a little like a church. There are some windows which are quite high up however, these do not give much in the way of natural lighting within the barn. The window sills are usually filled with real candles and flowers. The balcony that overlooks the barn is sometimes covered with fairy lights which look so pretty in the evening when the lights are turned down. 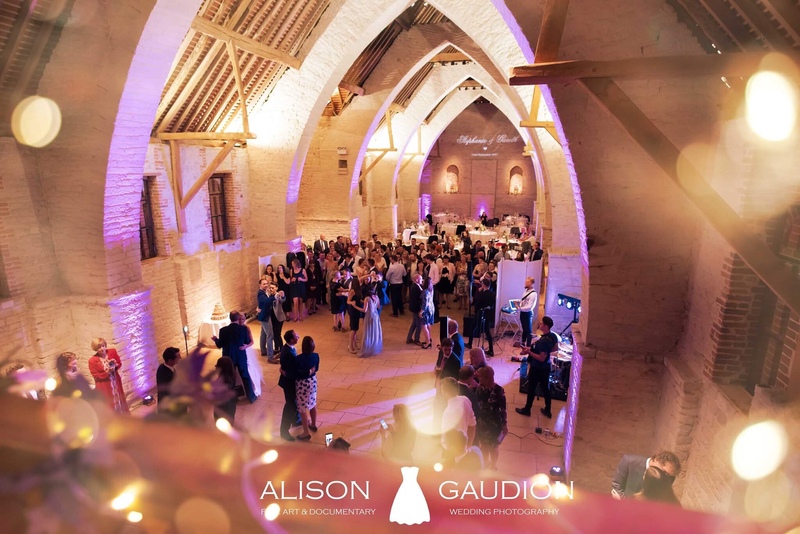 Despite the barn being a little dark, there are some amazing beamed lights that shoot downwards onto the ceremony and during the wedding reception. Couples usually use candles and lights on the tables. 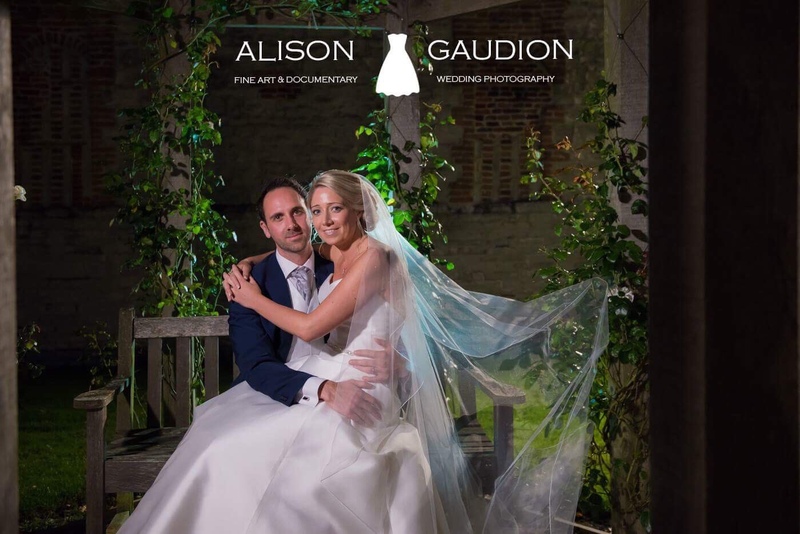 It is dark enough to be able to have the couples names projected onto the wall where the ceremony takes place. Sometimes candles are set down by the chairs (although I have had my experiences with candles!) some not so good. Outside the barn, the light in the daytime shoots right down upon the front large doors of the barn and it makes its way over behind the Shepherd’s Hut which is at the left hand side of the barn. This makes for a lovely back lit opportunity at the “golden hour” around sunset. The lighting inside the barn remains more or less the same whatever season it happens to be. This is because the windows are so high up, it does not make much difference. The lack of lighting also brings a certain intimacy to the barn and magic. The Spring brings masses of daffodils and tulips around the base of the trees which line the driveway. I have found myself lying amongst the daffodils and photographing the guests or bridesmaids through these flowers to give colour. There are also cherry blossom trees that are nearby. Wisteria can be found around the door to the room you meet the Registrar in. The apple blossom are found in the orchard around the owners house across the street. And, of course, there is always the green, leafy pathway that leads up the side of the barns towards the school up the hill. Autumn brings red colour to the barn. 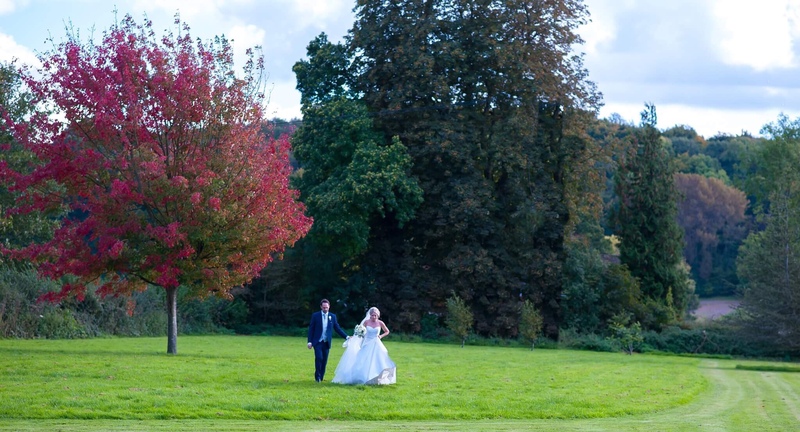 There is a massive red leafed tree in the middle of the field which turns the reddest of reds during the Autumn months. It lasts from September through to the end of October. I have photographed it many times with lights behind and sunsets and the moon framing above it. The other red colouring in Autumn can be found on the vines that grow up the owners house opposite the driveway. 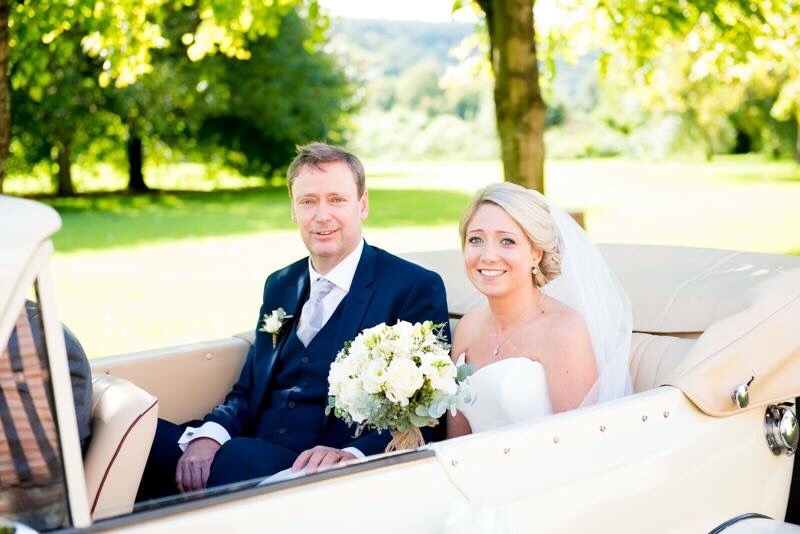 The owners do not mind if we as wedding photographers use their property and gardens to photograph the couple. 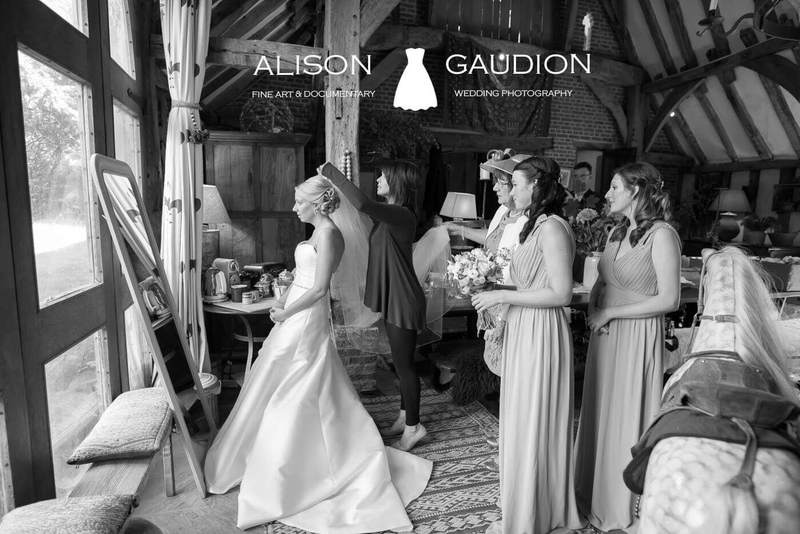 Thankfully, there are many areas to take different photos each time I am at the Tithe Barn, thereby mixing up the places used to photograph couples. No two weddings are alike. 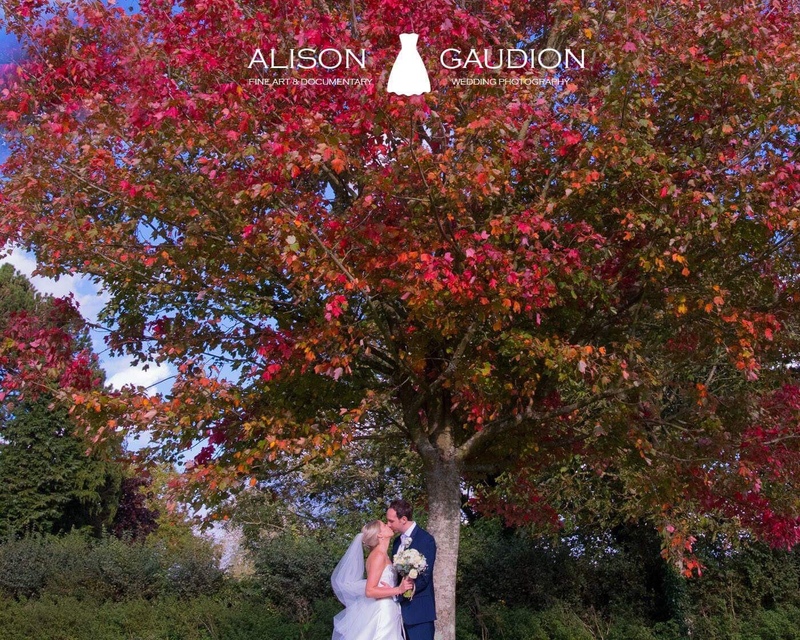 See below the RED TREE photos – it is truly gorgeous.